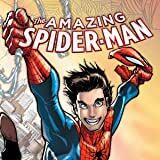 Collects Amazing Spider-Man (2014) #9-15. It's the biggest Spider-event ever! 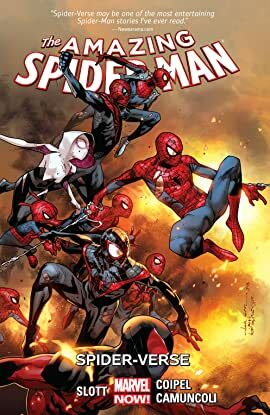 When the evil Inheritors begin exterminating spider-characters throughout the multiverse, every single Spider-Man ever is needed to save the day! A spider-army gathers to fight Morlun and his deadly family, and the Superior Spider-Man intends to lead it! Our universe's amazing Spider-Man has an issue with that, but the army doesn't have time for this in-fighting as the Inheritors continue slaughtering Spider-totems left and right! As the first skirmishes unfold into all-out war, Miles Morales shows his stuff, Silk finds a valuable edge, and a surprising Spider-character makes the scene! When the Prophecy comes to fruition, every spider must fight -- and no spider is safe! But what does the Superior Spider-Man have up his sleeve? And what will the war's fallout mean for Peter Parker and the rest of the spiders?